Christopher Robin is the next Disney Live Action film, where they take one of their classic animated features and turn it into a live action film. This Film centers around a older Christopher Robin (Ewan McGregor) who is a working Family Man now that encounters his childhood friend Winnie The Pooh in a time of need where is life is needing a little bit of joy. I was really looking forward to this film once the first trailer dropped, and the second I heard Jim Cummings voice for Winnie the Pooh I was shot back in time to my childhood. The same effect stands within this movie. Winnie the Pooh and his 100 Acre gang is the best part about this movie. The CGI not only looks great but the director choose a very cool style to make them look which added to the feel of the movie. The best thing about these characters returning into live action format is just seeing how well they play out in this world and just the amount of laugh out loud moments each one brings. Especially Eeyore who the gloomy donkey really shines in surprising ways that only Eeyore could. Which ends up stealing the show. This doesn’t take away from the rest of the gang Piglet and Tigger also have some fantastic moments and so do Rabbit, Kanga, Roo and even Sweet old Owl. Our main actor Ewan McGregor though turns in a fantastic performance as Christopher Robin that really shines a different light on the character and explores a message of growing up and getting lost in all the work adult life can get you lost in. Which is where I think the message works effectively and parents and kids will find very apparent. Now I do wish this film went a bit more with that serious tone and not shifting back and forth so much It would of been risky and I know it would have , but I guess that is something I was hoping for. 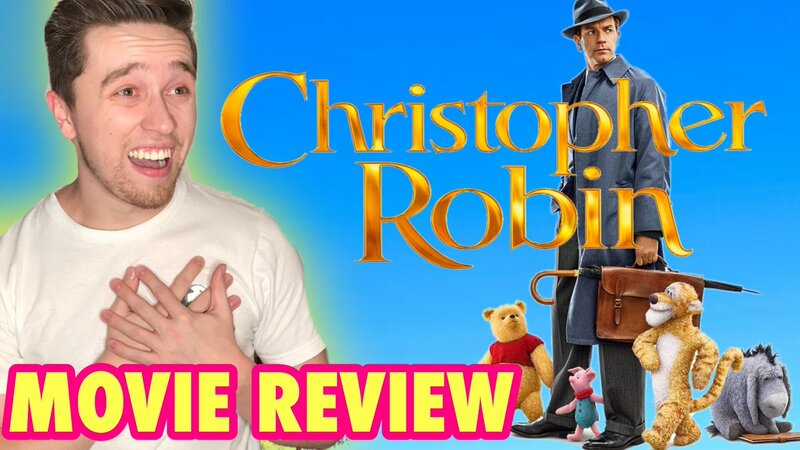 Overall I got exactly what I expected from Christopher Robin. A heartwarming journey with a good message, a childhood blast to the past with Pooh bear and the rest of the gang, That really made me smile any moment they were on screen. McGregor is so good in the role and I would of loved to see more from his wife played by Hayley Atwell and his daughter Bronte Carmichael I think it would of added more to the story. I hope Disney Revisits this world again with this same cast I think with a little bit of tinkering this series could have the same lasting effect that Paddington 2 gave me earlier this year.